Duel Pageant Crowning Get Your Community Fix! District Builds its Tradition of High Marks from Taxpayer Group for Prop. V Construction Program EL CAJON — For the third year in a row, the GrossmontCuyamaca Community College District has received outstanding marks for providing open information about its Proposition V construction bond program. The district received 24 out of 25 points possible from the San Diego Taxpayers Educational Foundation for the transparency of GCCCD’s Prop. V program. The taxpayers foundation released its annual transparency scorecard July 25 for the 23 school and college districts in San Diego County with active facilities bond programs. Proposition V, the $398 million construction bond approved by East County voters in fall 2012, paved the way for the district to continue the work started with Prop. R – the $207 million facilities bond passed in 2002 that resulted in the construction or renovation of 13 major facilities at the colleges. The college district’s strong showing in the taxpayer group’s transparency report follows the mold of spotless independent financial and performance audits the district continues to receive year after year for its construction bond programs. The district’s string of spotless audits remains unbroken, with the Governing Board in January receiving unblemished audit reports for the 13th year. “The transparency report and our spotless audits over the years confirm the district’s commitment to provide responsible stewardship of taxpayer dollars. Our Governing Board is keeping their promise to East County voters to spend construction bond funds exactly as we stated in election ballots,” said Sue Rearic, vice chancellor of business services and the district’s chief financial officer. The transparency scorecard rates the East County college district as one of 15 school districts to receive a score of 85 percent or better for meeting the criteria for bond transparency. The district received a grade of 96 percent from the taxpayer organization. In the report, the taxpayers education foundation scores all the county school districts on their website information for their bond oversight committees, the committees’ 2016 annual reports, and independent financial and performance audits. “This report is intended to provide tools for San Diego County school districts to use in the ongoing process of improving transparency – the accessibility of information that makes it possible for taxpayers to assess the performance of school facility bond programs,” according to the San Diego Taxpayers Educational Foundation Founded in 1987, the SDTEF is the research arm of the San Diego County Taxpayers Association. According to the taxpayers association, it releases the research “to bring attention to the issues that impact taxpayers and often informs the Taxpayers Association’s advocacy efforts.” The district reached a Prop. V milestone in the spring with the completion of an $8 million expansion of the Grossmont College central chiller plant that serves the cooling needs of the entire campus and is credited for a nearly 70 percent reduction in energy usage for the campus. Numerous other projects have been completed at the district colleges, including renovations at the Cuyamaca College Exercise Science Building and track, and upgrades to the electrical system at Grossmont College. At Grossmont College, the expansion and upgrade of the central chiller plant was the first major Prop. V building to be completed because it is critical infrastructure for other Grossmont College facilities, including the Teaching and Performance Theater and a Science, Math and Career Tech Complex. At Cuyamaca College, major projects include the renovation and expansion of the Ornamental Horticulture Complex and a new Student Services Building, which will house offices for admission and records, financial aid, and counseling, in addition to an expanded veterans center. Construction of the Student Services facility is expected to begin in fall 2019. The OH construction is expected to begin in April 2019. SAN DIEGO — Pageant Director Debra Dodge held an evening with all the glitz and glamour we’ve grown accustommed to with the 37th Miss Greater San Diego and Gold Counties Pageants, held Saturday, Aug. 5 at the Joan B. Kroc Theater. Mistress of Ceremonies was Mrs. Greater San Diego 2017-2018 Lauren Weeks. Crowned were: Miss Greater San Diego 2018 Brooklyn Lawery (Cover, right) and Miss Greater San Diego Teen 2018 Silvia Roy (Cover, left); along with Miss Gold Counties 2018 Suzanne Wiggins, Miss Gold Counties Teen 2018 Grace Anne Jeramiah. o other state has a cap-and-trade system anything like California’s for limiting and, in the long run, vastly reducing production of greenhouse gases behind climate change. In fact, the chairmen of every key congressional committee and subcommittee on the environment where this issue is heard are all long-term climate change deniers, best exemplified by Oklahoma’s Republican Sen. James Inhofe, who once said his granddaughter was “brainwashed” when she asked him about the issue. He heads the Senate’s Committee on Environment and Public Works, a job once held by retired California Democrat Barbara Boxer. That’s just one way California is different from most of the rest of America, especially the wide swath of “red” states stretching from the Rocky Mountains east to the crest of the Appalachians. But the mid-July vote in which California legislators overwhelmingly extended the cap-and-trade program until at least 2030 exemplifies why almost one-third (32 percent) of Californians said in a springtime poll that they’re at least somewhat interested in seceding from the Union. On that issue, votes in both houses of the Legislature exceeded the two-thirds supermajority needed to prevent threatened future lawsuits claiming cap-and-trade is a tax, not a fee. It takes that large a margin to pass a new tax, meaning this doesn’t happen very often. But it did this time, and seven Republicans who voted for the extension were critical to its getting 55 votes in the Assembly, where 54 out of 80 were needed. There was also a single Republican vote for cap-and-trade in the state Senate, where 27 of 40 votes were needed and the extension actually got 28. The GOP votes were vital because a few Assembly Democrats defected to the “no” side. Those eight Republicans made up more than 20 percent of the GOP’s legislative membership; a vote like that to fight climate change could never draw nearly so much Republican support in any other state these days. But this is only one area where California is vastly different from most of America. Some other fields where polls and election results show most Californians want policies at variance with those of the Trump Administration and much of Middle America: gun control, sanctuary policies for at least some undocumented immigrants and strong voting rights, to name just three. In that light, some are seeing the cap-and-trade vote as more than just an extension of a unique state policy. They see it as something like the first salvo in their wished-for divorce proceeding from the Union. This is nowhere better expressed than in an open-letter essay in the new journal Grizzly, published by the nascent California National Party, whose purpose is a push for independence. “You can do whatever you want,” the essay says to the rest of America. “You want a country where everyone looks like you? You can have it. You want a government that thinks like you? You can have it. In California, we just had a Senate race where only Democrats ran. You’ll have your own presidential races where the choice is between one conservative Republican and another even more conservative Republican. Good for you. You want no environmental restrictions? You can have it. We’ll shed a tear when you start open-pit mining in Yellowstone, but we won’t do a thing to stop you. You want to establish an Evangelical state religion? We won’t have any say in what you do anymore.” That’s putting it pretty strongly, but it represents a little bit of the frustration some Californians felt when several small states imposed their political will last year via the Electoral College. “Think about his for a minute,” the essay continues, “You won’t have us always butting in with our political correctness… And don’t worry about losing us. You don’t need us. You’ve got the oil and the gas and the amber waves of grain. You can build pipelines…you can drill offshore.” That may be a very fanciful vision, but there’s little doubt about how different California is from most of the rest of America. The secessionists are merely saying they’d like to formalize that reality. Watch reports that studies show healthy men, and those who have already suffered a heart attack, can reduce cardiovascular risk by eating nuts regularly. Here are some facts about nuts: • Fiber. All nuts contain fiber, which helps lower your cholesterol. Fiber also makes you feel full, so you eat less. • Some nuts contain plant sterols, a substance that can help lower your cholesterol. • Nuts contain mono- and poly-unsaturated fats known to benefit the heart. • Many nuts are rich in omega-3 fatty acids. Omega-3s are a healthy form of fatty acids that seem to help your heart by, among other things, preventing dangerous heart rhythms that can lead to heart attacks. • Nuts are a source of l-arginine, which is a substance that may help improve the health of your artery walls by making them more flexible and less prone to blood clots that can block blood flow. • Vitamin E in nuts may help stop the development of plaques in your arteries, which can narrow them, leading to chest pain, coronary artery disease or a heart attack. In addition, nuts may help lower cholesterol by simply replacing less healthy foods in your diet. “Nuts may not be the key to cardiovascular health, but adding nuts to a balanced, healthful diet can take you one step away from heart disease,” says Dr. Harvey B. Simon of Harvard Medical School. However, there isn’t hard evidence for the benefits of nuts to your heart. The U.S. Food and Drug Administration (FDA) only allows food companies to say evidence suggests but does not prove that eating nuts reduces heart disease risk. Most nuts contain at least some substances that are good for your heart. However, while nuts are loaded with nutrition, they are also high in calories; as much as 80 percent of a nut is fat. Two ounces of nuts a week appears to help lower heart disease risk, so don’t eat nuts like an elephant or you will become one. Nuts don’t vary a lot in caloric content. Almonds are on the low end with 160 calories per ounce. Macadamias are on the high end with 204 calories per ounce. Most nuts appear to be good for you. Walnuts, almonds, macadamia nuts, hazelnuts and pecans are considered very good for your heart. – WALNUTS. While all nuts contain heart-healthy omega-3 fats, walnuts have high amounts of alpha linoleic acid (ALA). Research has suggested that ALA may help heart arrhythmias, and a 2006 Spanish study suggested that walnuts were as effective as olive oil at reducing inflammation and oxidation in the arteries after eating a fatty meal. – ALMONDS. These nuts contain more calcium than any other nut, making them a great food for overall health. They are rich in fiber and vitamin E, an antioxidant that helps fight dangerous inflammation and possibly health conditions such as lung cancer and age-related cognitive decline. – MACADAMIAS. Although high in fat, macadamias supply good levels of the healthy mono-unsaturated variety. They’re a rich source of fiber and contain minerals including magnesium, calcium and potassium. – HAZELNUTS. These are a good source of folate, which plays a key role in keeping homocysteine within normal levels. Homocysteine is an amino acid which has been associated with heart problems as well as conditions like Parkinson’s disease. – PECANS. These are packed with plant sterols. Pecans are also antioxidant-rich which helps prevent the plaque formation that causes hardening of the arteries. They’re rich in oleic acid, the healthy fat found in olives and avocado. As a good source of vitamin B3, pecans help fight fatigue. “Coast to Cactus” Speaker at Alpine Historical Society Potluck Meeting on Sunday, August 20 The quarterly potluck meeting of the Alpine Historical Society will be held at 1 p.m. on Sunday, Aug. 20 at the Alpine Woman’s Club, 2156 Alpine Blvd. The speaker, Rochelle Lynn Gaudette, will discuss new the exhibit titled Coast to Cactus in Southern California and the accompanying book Coast to Cactus: The Canyoneer Trail Guide to San Diego Outdoors. If you have ever been curious about the geology, ecology and biodiversity of San Diego County this is a great opportunity to learn from an expert. Coast to Cactus in Southern California is a new permanent exhibition at the San Diego Natural History Museum that invites visitors to discover what it means to be a biodiversity hotspot: the story of why one region is home to so very many species, why these species are so critically threatened at this moment in history, and why it matters. Coast to Cactus: The Canyoneer Trail Guide to San Diego Outdoors is both a 250 hiking and field guide, a new bible for really getting to know and appreciate the county’s biodiversity while exploring firsthand. There are 525 species of plants, birds, mammals, reptiles, amphibians, and invertebrates that are described in detail, which helps the visitor understand the region’s diverse ecosystems and why it is one of the world’s biodiversity hot-spots. It’s not just another hiking book. Please plan to bring a dish for the potluck at 1 p.m. or come only for the speaker at 1:45 pm. Please make your reservations by calling Tom Myers at (619)885-8063 or info@alpinehistory.org. Admission is FREE but donations appreciated. The San Diego East County Chamber of Commerce is seeking nominations for its 15th annual Women in Leadership Luncheon (WILL). Deadline for entries is Friday, Aug. 25. Nomination forms are available on the Chamber website, www.EastCountyChamber.org. Nominations will be accepted for awards in various fields, including artsmedia-culture, business, education-academia, hospitality, government-defense, healthcare and the non-profit sector. Nominees must be San Diego County residents who have demonstrated exemplary character, integrity and outstanding leadership. Awards will be presented on Friday, Sept. 22 at the Town and Country Resort Hotel and Convention Center in Mission Valley. For ticket sales and sponsorship information, contact the Chamber offices at (619) 440-6161.
said parents’ only option would be to either to obey or risk being reported to Child Protective Services. Anderson said the town hall meeting was planned after many California citizens reached out to him in opposition to SB 18 and expressed a desire to learn more about how they can protect their parental rights. For more information, visit www.bit.ly/NoSB18. Anderson’s 38th Senate district in the California Legislature includes Lemon Grove, El Cajon, La Mesa, Santee, Poway, Escondido, San Marcos, Lakeside, Valley Center, Rancho Santa Fe, Julian, Ramona, Rancho San Diego, Bonsall, Borrego Springs and Fallbrook. He was first elected to the State Assembly in 2006 and to the State Senate in 2010. The Fletcher Parkway Medical Center, 8881 Fletcher Parkway, La Mesa, has been acquired in a joint venture by two large East Coast investment firms, Anchor Health Properties and The Carlyle Pipeline relining program will impact La Group. The selling price was $33 million, according to CoStar Mesa streets Group. Seller of the 82,024-square-foot property was The Abbey Construction is expected to begin soon on the latest phase of Co. of Garden Grove, Calif. The seller was represented by Holliday the San Diego County Water Authority’s Pipeline Relining Program Fenoglio Fowler LP, a brokerage firm. Current tenants in the Senator Joel Anderson to host Town Hall between Lake Murray and Sweetwater Reservoir. The Water building, constructed in 1985, include Sharp HealthCare, United Authority’s board of directors recently approved the funding for on parental rights HealthCare and a Surgical Care Affiliates surgery center. Services construction activity that will impact traffic on several La Mesa California Sen. Joel Anderson (R-Alpine) will host a free provided by tenants include imaging, radiology, cardiology, streets, including Baltimore Drive south of the Laport Street-El Paso pediatric, rehabilitation and laboratory services. town hall meeting on parental rights from 10 to 11 a.m., Saturday, Aug. 12, at Foothills Christian Church, 365 Bradley Street intersection, Nebo Drive to University Avenue and Spring Philadelphia-based Anchor Health Properties said the La Mesa Street. Ave., El Cajon. The public is invited to attend. property marks its first acquisition in the San Diego market, and The latest $28.6 million project is part of the Water Authority’s At the town hall, Anderson will discuss his opposition to it is among its first in the Western U.S. “The Fletcher transaction, multi-decade program to rehabilitate pre-stressed concrete cylinder in combination with recent and planned acquisitions in Southern Senate Bill 18 that would reportedly create a children’s Bill of Rights. 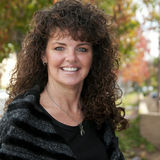 According to Anderson, SB 18 would result in the state’s pipeline (PCCP) within the Water Authority’s conveyance system California and the Western U.S., has created momentum for with steel liners to extend their service life and ensure continued ultimate control of every aspect of a child’s welfare without further investment and expansion efforts in the region,” said system reliability. Instead of excavating the entire length of pipeline James Schmid, Anchor Health Properties’ chief investment officer. consideration for the parents’ rights or unique knowledge of to install the steel liners, the Water Authority will excavate the their child’s individual needs. SB 18 would allow government Anchor Health Properties was started in 1985 and oversees pipeline only at selected access points called portals. Crews will to create standards for measuring “bad” parents that include, a nationwide portfolio of medical facilities spanning more than then use special machines to move 40-foot sections of steel liner but are not limited to: medical care, nutrition, home life and 1.5 million square feet. The Carlyle Group of Washington, D.C., is education requirements. All of these standards would be defined underground to where they are needed. This rehabilitation method among the nation’s largest private equity and investment firms, by politicians and enforced by bureaucrats. As a result, Anderson is 40-to-60 percent less costly than traditional excavation, and with $162 billion in assets under management worldwide. FICTITIOUS BUSINESS NAME STATEMENT ASSIGNED FILE NO. 2017-018087 (A) BRASS SHOTS located at 12441 KEEMO TERRACE, LAKESIDE, CA, COUNTY OF SAN DIEGO, 92040. Mailing address: P.O. BOX 710148, SANTEE, CA 92072. This business is conducted by: AN INDIVIDUAL. The registrant commenced the transaction of business on: 01/22/2017. This business is hereby registered by the following: (A) JEFFREY SHERWOOD GATES of 12441 KEEMO TERRACE, LAKESIDE, CA 92040. Signed by: JEFFREY SHERWOOD GATES. This statement was filed with ERNEST J. DRONENBURG, JR, the Recorder/County Clerk of San Diego County on JULY 14, 2017. SAN DIEGO COUNTY HERALD, PUBLISH: JULY 10, 17, 24 AND 31, 2017. Enjoy the August 10-16 digital version of The Herald! Get Your Community Fix! Like the East County Herald on Facebook!